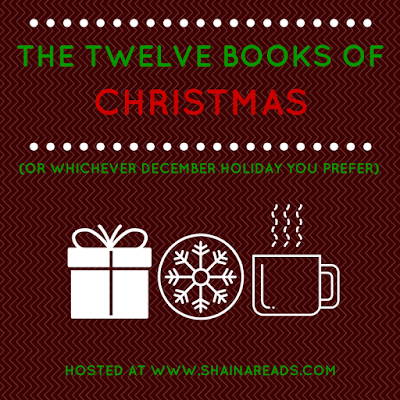 Hello, my festive bookworms! December is absolutely flying by, and we're just about halfway through the challenge now. Since my last update, I've finished no fewer than four books, leaving me sitting pretty at five books down. I'm still not quite on target to hit twelve by the end of the month, but I'll give it my darnedest. Another one I don't want to rush through (maybe I should have reconsidered the parameters of this challenge...). Some of these essays are dated, but others cut to the bone despite being written more than half a century ago. I hope to finish it tonight! All done! Pasting my thoughts from Goodreads because I can: Not the life-changer I remember from college, but it offers some nice ideas. Besides, who doesn't love some Winnie the Pooh? I'm interested in reading more about Taoism to see how faithfully this book represented it, especially considering how harsh Hoff was on scholarship and science. This plot is one we've all read before—Abra's seemingly perfect marriage unravels after her husband Cullen has an affair. Struggling to redefine herself, Abra eventually shows the upper-crust of Black society that she can stand on her own two feet. I feel silly making this comparison, but the focus on material wealth and cultural references smacked of Bret Easton Ellis with (thankfully) far fewer drugs and serial killers. This was decent enough, but I don't think it will stick with me. A free, three-hour audiobook from Audible? Yes, please. I finished this one on my way to the dentist this morning. As usual, Dickens's prose floored me, but the plot left a lot to be desired. When I tried to explain the story to him, my boyfriend put it succinctly: "Well, that sounds pretty convoluted." I've been working on this audio on and off since last month, and I'm settling in for the long haul. It's 27 hours long, but the narration is fabulous (so many voices!) and it's great for giving my eyes a break. Still plugging away! I think that I would lose patience reading this, but the meandering storyline is so perfect for audio. Nice post! Hopefully, I can catch up this weekend!